Bob Dylan Center, which will be the public-facing home of the Bob Dylan Archive, will curate more than 100,000 items. 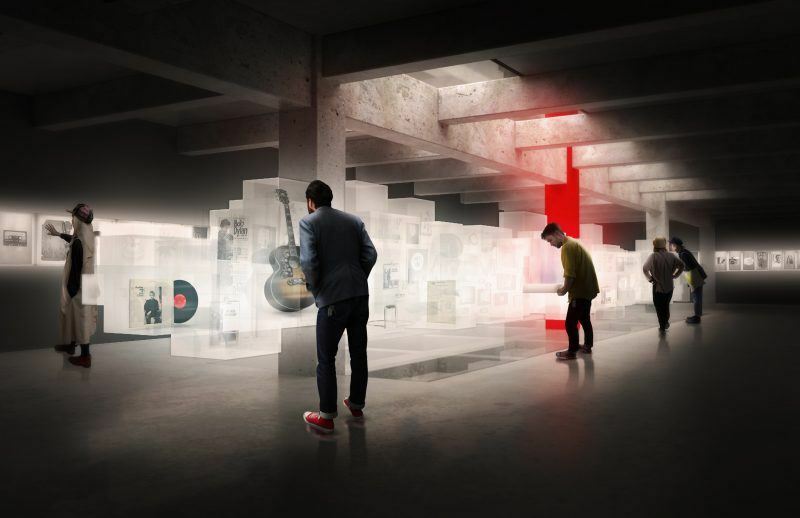 Seattle-based design practice Olson Kundig has been selected as lead architect for the new Bob Dylan Center in Tulsa, which will soon be the public-facing home of the Bob Dylan Archive. The firm won the bid in an international design competition, launched jointly by Dylan’s management team and the collection’s owner, the George Kaiser Family Foundation (GKFF). Olson Kundig’s design principals Tom Kundig, FAIA, and Alan Maskin won first place in the competition following an extensive evaluation process by a committee of advisors. Tulsa-based Lilly Architects is partnering with the firm as the architect of record, while Plains of Yonder is the partner for audio and multimedia experiences for the project. “This is a deeply meaningful project for us—not only acting as architectural support to Bob’s transformational legacy and creative, disciplined force, but also in preserving the teaching value of his legacy for future generations,” said Kundig. Bob Dylan Center is slated to open in 2021. That’s great news. I heard a lot of great things about Olson Kundig and I also visited his website.